According to American Home Furnishings Alliance consumer research, most Americans have at least one piece of furniture in their home that they regret choosing, and mistakes occur most frequently with a sofa purchase (22%). So know the scoop before you purchase this key piece of furniture. The first step to making a purchase decision you’ll be happy with is to consider which style, features, and size will suit your room. SMALL SPACES It’s easy to overwhelm a small room with a large sofa, so choose a space-efficient style that’s tailored for minimal fussiness. Don’t automatically sacrifice depth of cushions—there are so many options, you can get the size you want without skimping on comfort. Pair the sofa with open-back chairs and leggy accent pieces for barely-there support. OPEN FLOOR PLAN In this kind of room, chances are you will be able to see the sofa from almost every angle. Select a classic, low-profile piece with flat sides and back. It will preserve the visual flow between spaces, and its strong square outline can define a seating area. Give an open plan space more structure with an asymmetrical arrangement of accent pieces. 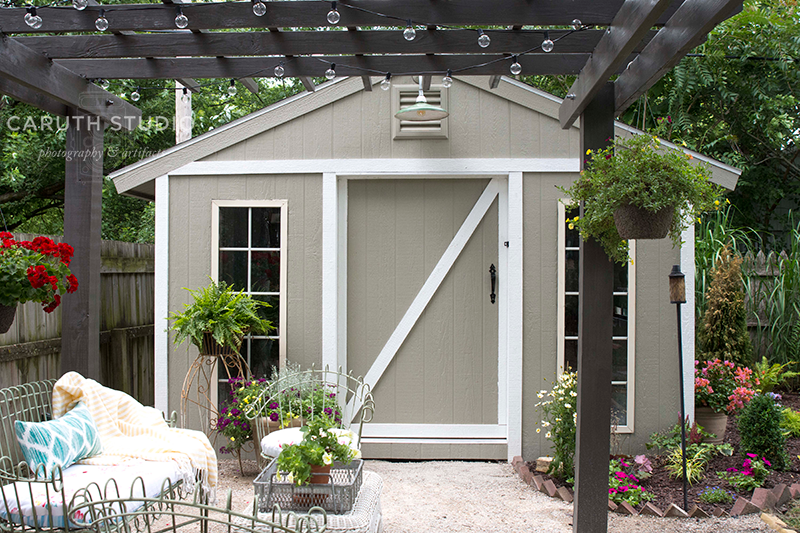 COTTAGE Look for a classic shape that would suit an older property. Slipcovers and cottage style go hand-in-hand, but choose a look with a crisp profile. The tailored slipcover should closely contour the sofa beneath. FEATURELESS In a room with no architectural features and no focal point to arrange furniture around, you will need a sofa that can set the scene. Go for a statement piece that will make the sofa the focal point of the room. Choose an oversize piece that adds weight with substantial cushions and depth. Reinforce its focal point status with an asymmetrical placement of the coffee table, mismatched side tables, and a lush rug. Choose a table lamp that shares its sense of weight and large scale. Top it off with a large wide work of art on the wall above, or select a gallery of prints that fill the space. When looking for a new sofa, think about a sofa’s arm, cushion, leg or skirt styles. These are among the most common configurations. A rolled arm curves outward. It is a common arm on traditional sofa styles and is generally the most comfortable for lounging or a quick snooze. On a sofa with tuxedo styling, the arms are the same height as the back. Also known as a shelter style, this type, with its high sides, provides a visual break in an open plan room. The squared track arm is modern and tailored in appearance. It is not as comfortable for lounging as a rolled arm, but an accent pillow or bolster can soften its lines. Originating in the 17th century, the arms, or more correctly sides, of a Knole sofa are of the same height as the back and flare out from the body of the sofa. This is a classic style characterized by low arms with a saddle-like curve toward the back of the sofa. It’s easy to sink into this comfy style. A traditional look with a timeless, graceful style that’s often associated with antique furniture, turned legs can either sit directly on the floor or be mounted on casters. If you want more air under the sofa and a more modern silhouette, choose a pin leg. It’s a hallmark of midcentury styling that can add a retro look to your room. Chunky and tapered or short and square, block legs are characteristic of today’s casual modern style. They provide a sturdy, solid foundation for a family room sofa. Skirted sofas are generally softer and more traditional in appearance. The skirts come in many styles including kick pleat, box pleat, shirred skirt, and fringe. Pleats can be featured across the front or at the corners only. Some sofas have ‘waterfall’ skirts that drop straight from the seat cushion, resulting in a cleaner, more tailored appearance. A sofa with two seat cushions and two back cushions offers a more modern styling with fewer visual breaks. But a third sitter will have to perch where the cushions meet. Three back cushions over three seat cushions is a traditional configuration that provides equal seating for three people. Avoid L-shape cushions if you want to rotate them for even wear. A bench configuration features one long cushion. There are no visual breaks, but be sure that the cushion doesn’t pop up with a sitter at one end. Cushions are separate from the sofa back. The covers can easily be removed and dry-cleaned. Semi-attached cushions are sewn into place. Instead of a row of larger cushions, multiple pillows are arranged across the back of the sofa. Pillow backs require more fluffing and arranging, but it’s easy to adjust cushions for optimum comfort. The back of the sofa is upholstered, with no loose cushions. This provides a cleaner, more tailored appearance and a firm feel. Accent or lumbar pillows can be added for comfort or more support. A timeless look, the tufted sofa features a tight back with square- or diamond shaped tufts accented with a button covered in the same fabric as the sofa. Consider, too, your lifestyle and the kind of use your sofa will get on a day-to-day basis. Choose a seating depth that will fit the primary users and the sofa’s primary function. Use a Classic 38-inch depth if the primary user is short in stature or the sofa is intended for a formal or seldom-used room. Opt for the Luxury 41-inch depth if the primary user is taller or the sofa will be used for napping, lounging or sleeping. Choose the 44-inch European depth if the primary user is very tall. Employ decorative accent pillows to provide more back support for shorter users. When it comes to buying a new sofa, comfort, style, function, and price top the priority list for the majority of shoppers. Quality is important as well, but it’s not as easy for the average buyer to identify. A beautiful fabric and stylish frame may be the reasons you fall in love with a sofa, but if you ignore what’s inside, your affections may fizzle over time. The American Home Furnishings Alliance offers tips for consumers who want to purchase the best quality within their price range. Frames made of kiln-dried hardwood are now among the most durable. Kiln drying removes moisture, which helps prevent warping or cracking. Look for solid construction methods such as wooden dowels, double wooden dowels, wooden corner blocks, or metal screws and brackets. Staples or nails may be used for extra reinforcement, but never buy a sofa that’s held together solely by staples, nails, or glue. Ask the salesperson about the sofa construction and try this sturdiness test yourself (attempt this only if you’re prepared for a heavy weight): Lift one front corner of the sofa off the floor. If you’ve raised it six inches and the other front leg is still on the floor, the frame is too flexible and therefore weak. The suspension system in your sofa will affect its bounce and how well it supports weight. Although an eight-way, hand-tied coil suspension is still a mark of fine craftsmanship, other construction techniques, including new steel spring configurations, offer equal comfort and durability. Most sofas have S-springs, which are pre-assembled units of sinuous wire. They’ll support you nicely, but make sure the metal is heavy-duty or the springs can press on the frame or sag over time. In general, the number of springs and how they are reinforced determine cost and quality. Push on the springs through the cover—you’ll want a firm feeling with springs close together. A webbing or mesh foundation will feel flimsy. Back and seat cushions may include a combination of springs, cotton or polyester fiber, foam, or down. Most upholstery cushions are made from some type of polyurethane foam. The best options in terms of affordability, quality and comfort are 1) high-resilient foam (better-quality upholstered furniture uses foam with a density rating of 1.8 to 2.5) in a layer of down and 2) conventional foam wrapped in polyester batting. Foam cushions should be wrapped or covered to protect the foam from direct contact with the upholstery fabric. Avoid cushions filled with polyester fiber or a down-polyfiber blend as they will flatten quickly. The best way to figure out what suits you best? Sit on it! Cover components fall into just two basic upholstery categories: natural and synthetic. Fabrics combining a tight weave and durable fibers like nylon or polypropylene are a good choice for active use (stain resistance is key here, too). Leather is also a popular choice for durability. While a good performance fabric is important for long wear, select a cover upholstery that you can live with visually over time, too. Trendy colors and vivid patterns may be fun for a while, but if you’re choosing an investment piece, you may be happier in the long term with a neutral upholstery that can transition from one color scheme to another. Okay, so armed with all this info, you should be ready to choose a sofa that will enhance your room and give you a comfy, inviting place to relax. Happy hunting!